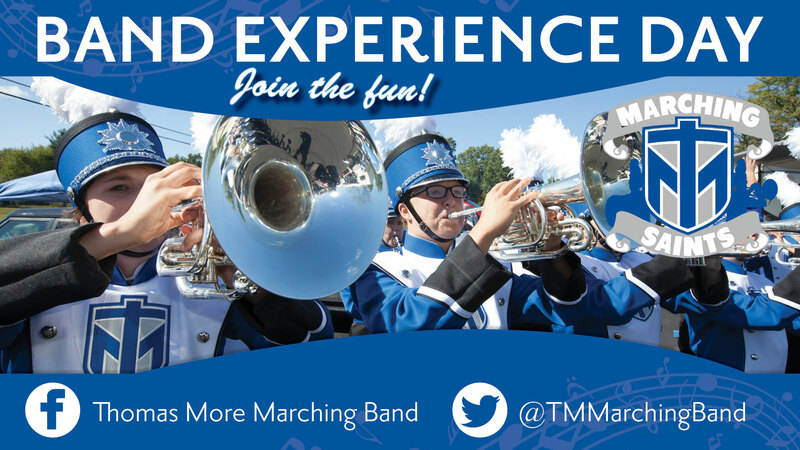 Come experience band TMU style as an honorary member-for-a-day of the Marching Saints. Perform with other high school students and the TMU Band in support of the 2018 PAC Champion Saints Men's Basketball Team as they take on Wright State University - Lake Campus Lakers on Saturday, Feb. 16, 2019. Free admission to the game for you and yours parents. *Bring your transcripts and ACT/SAT scores for an on-the-spot admissions decision to TMU. Apply in advance online for free at thomasmore.edu/apply . What specific questions do you have about the TMU Marching Saints?